The holiday season has a weird way of stressing us out. There’s so much involved, and sometimes it can be overwhelming to conquer our to-do lists. Whether it’s the traditions we want to carry on or new ideas and self expectations, the load is a heavy one. And of all the heavy loads, holiday feasts might be the greatest. When you think of the holiday season, food is at the center. From Thanksgiving to holiday parties to Christmas Eve and Christmas Day, it seems like every single event revolves around food. And while everyone loves a feast, the hard work of the chef (or the mom behind it all) is often overlooked. Plan Ahead. It may seem like a no brainer, but also, I am pretty sure it was July 4th yesterday. Thanksgiving will literally be here before you know it! (And Christmas and all the parties in between). Don’t lose track of time and neglect this one. Planning ahead is one of the best things you can do. 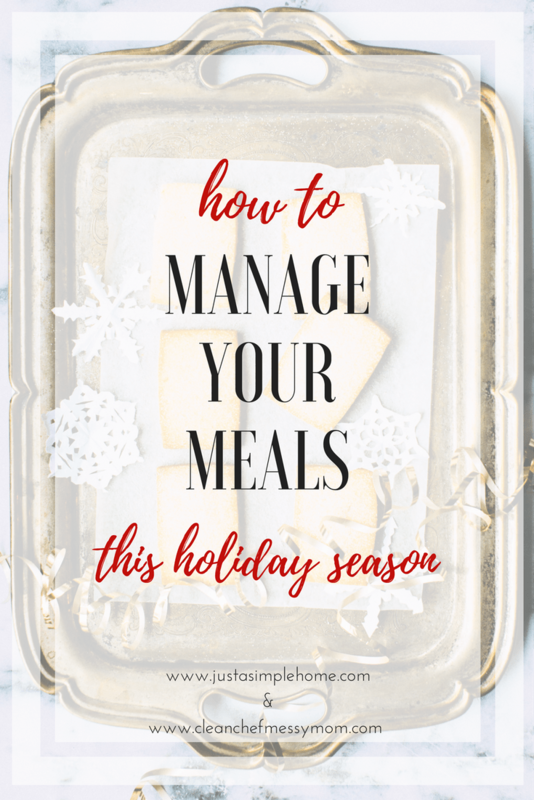 If you can nail down exactly what dishes you want to serve at your holiday dinners and parties, then you eliminate the guess work and shopping hustle that comes with last minute planning. Shop Beforehand. The reason number one is so important is because planning all of your meals means that you can make a grocery list. And having a grocery list means that you can shop ahead. Have you ever gone shopping the day before Thanksgiving or Christmas? Don’t. No one should experience that level of stress and chaos right before a holiday. Do your holiday shopping the week before. Most things will not go bad in less than a week, and many things can be frozen! And the best thing about shopping ahead? Read on to number three. Prep Ahead. Seriously, friends, this is one of the best tips I can give you. Make your pies and other desserts ahead of time. There are so many moving parts to a holiday feast. Preparing pies ahead of time will eliminate the overwhelming disappoint that comes with realizing you don’t have enough oven space to conquer all the things. You can even prep other things ahead (like casseroles and dressing and charcuterie boards) and either heat them up the day of, or just set them out! Ask For Help. Preparing every single dish for a feast is a LOT of work! Do yourself a favor and reach out to someone you trust. Ask for help with one or two dishes to lighten your load. If you are anything like me, you may want to be the master behind all the dishes. In that case, ask for others to provide drinks or even a salad. Those things are very easy and don’t require much skill. Cut yourself some slack and let others pitch in! Embrace it. There will inevitably be some amount of chaos in the kitchen. As a chef, busy mama, and recovering perfectionist, I have to say that learning to let go has been the greatest gift. When I let go of expectations and embrace the moments of chaos that are sure to come, I enjoy the experience and those around me much more. And the company is the best part, no matter how good the food is! Whatever you do this holiday season, remember to do it with love and joy in your heart. It’s such a beautiful time, and shouldn’t be spent in a state of stress. At the end of the day, it’s all quite simple. Be with those you love, and embrace every moment. Laura Crawford is the voice and photographer of Clean Chef Messy Mom, a clean eating, and lifestyle blog. Laura loves encouraging busy moms to live healthier lives and embrace authenticity. She also loves helping other businesses and brands find words for their dreams and visions so they stand out among the rest. 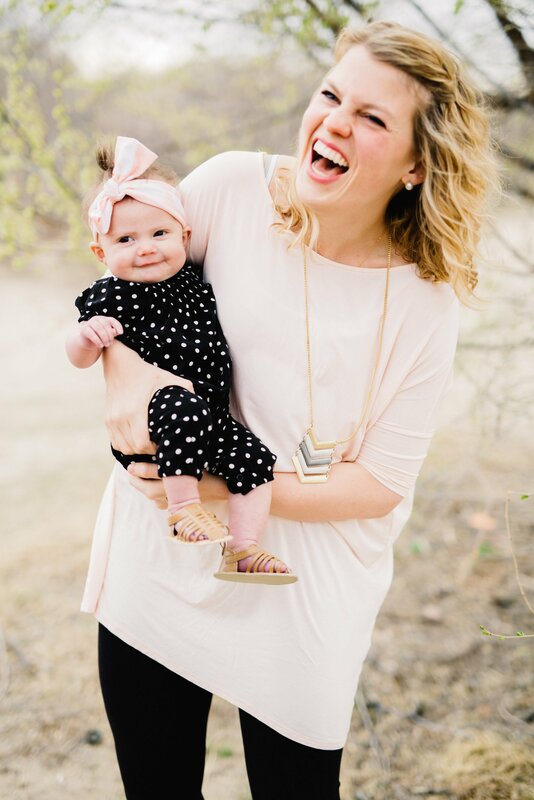 You’ll find her in Colorado Springs with her husband and baby girl, most often with a cup of coffee in one hand and her baby in the other. You can find Laura at www.cleanchefmessymom.com, or @thelauracrawford on Instagram! You can also find her newest eBook Gluten Free Holidaze here.